In the eighties there was a war going on – the cold war. Sweden aimed at being neutral in the case of a “hot war” and Sweden’s ambitions in defense was high. 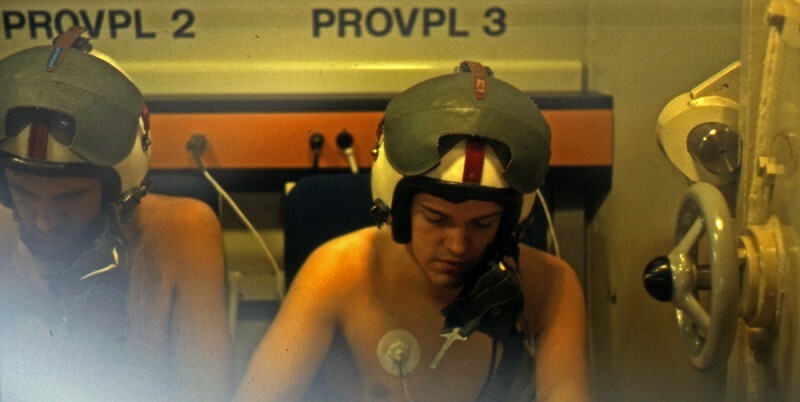 In 1983 I think we still had some 20 squadrons of fighters – Draken and Viggen. That’s a lot for a small country with less than 9 million residents. The defense was built around a conscript army but there was also a need for officers. 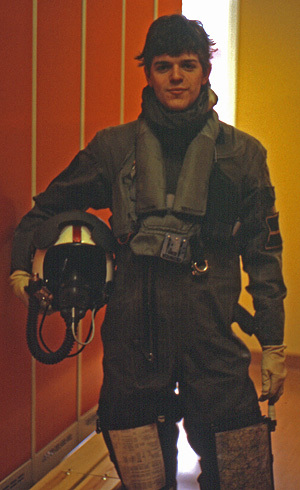 In 1982 and 1983 I finished my officers training. The training was comprehensive and I learned a lot about the Swedish Navy, the Army and of course the Air Force – their weaponry and the way they worked toghether. We also had lessons in foreign policy, strategy and a lot of other things, like more soldiers’ training. For me the best part of the training was of course the flying. We spent two intensive weeks with a flying squadron. To prepare for the high altitude flying we had to do a test in a low pressure chamber. We also spent quite some time to get our personally adapted flying equipment. 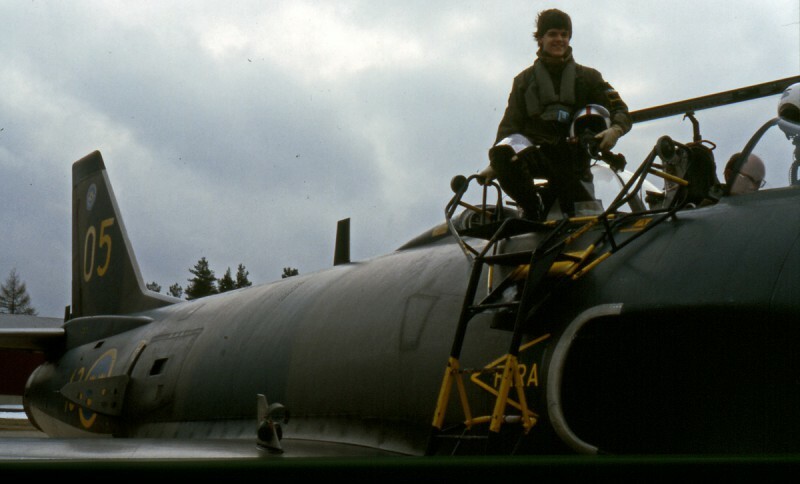 I got 12 hours of flying in SAAB105 / SK60 and also a few flights in the old fighter SAAB J32 Lansen. Instructive and very, very fun!